'Heart 4 U' XIUMIN, 'XIUMIN House' EXO's Never Ending Houses unveiled! CHANYEOL flavor presented by the recipient of the toppokki recipe! EXO's tense board game to the scene! EXO (SM) 's personal reality series' Heart 4 U' XIUMIN will unveil its 2nd XIUMIN Houses on April 3rd. In the 4th episode of 'Heart 4 U' broadcasted on the last day, XIUMIN invited EXO members to celebrate their first independence, and an episode of housewarming was revealed. The members watching the house are not only spoiled XIUMIN, but also XIUMIN and D.O. I was not impressed by the dishes prepared by the audience. In the 5th session, CHANYEOL, the recipient of the recipe that recently collected the 'XIUMIN House' housewarming party, made a tteokbokki for the members and showed the taste of the aid. As a result, the members who tasted CHANYEOL's tteokbokk . Then XIUMIN will play a board game with responsibility for the finalization of the housewarming and start playing the game, and the scene of the game where tension is felt to prevent penalties is going to be revealed, so it will be focused on who will be the main character of the penalty. It is forecast. On the other hand, EXO's personal reality series 'Heart 4 U' XIUMIN will be broadcast on 'Heart 4 U - mySMTelevision' channel of NAVER TV and V LIVE (V App) every Monday, Wednesday and Friday at 7 pm. JTBC4 '너를 싫어하는 방법' NCT JAEMIN, excited! The transformation of unrequited love is successful! "Perfect Happy Ending"
How was your first acting challenge? Visual + voice + charm equipped! '너를 싫어하는 방법' NCT JAEMIN (SM) made viewers flinch and captivated their eyes. JAEMIN played the role of Han Dea Gang, a man with a warm heart who seems to be seemingly frustrated in the JTBC4 drama '너를 싫어하는 방법', but sincerely treats people. On the last two days, Han Dea Gang, who was in 'contract love relationship' with Oh Mi Ri (Kim Ji In), conveyed courage to my heartfelt heart, The story of a perfect happy ending was drawn. Through this work, JAEMIN of Han Dea Gang played a perfect visual and soft voice, expressing the charm of the character as well as the feeling of unrequited love, nurturing the audience's excitement, and expecting growth as an actor. JAEMIN's acting '너를 싫어하는 방법', which attracted attention as the first challenging work, is based on the popular webtoon of BUFFTOON, with the story of the college students worrying about friendship and love, It is popular with teenagers. 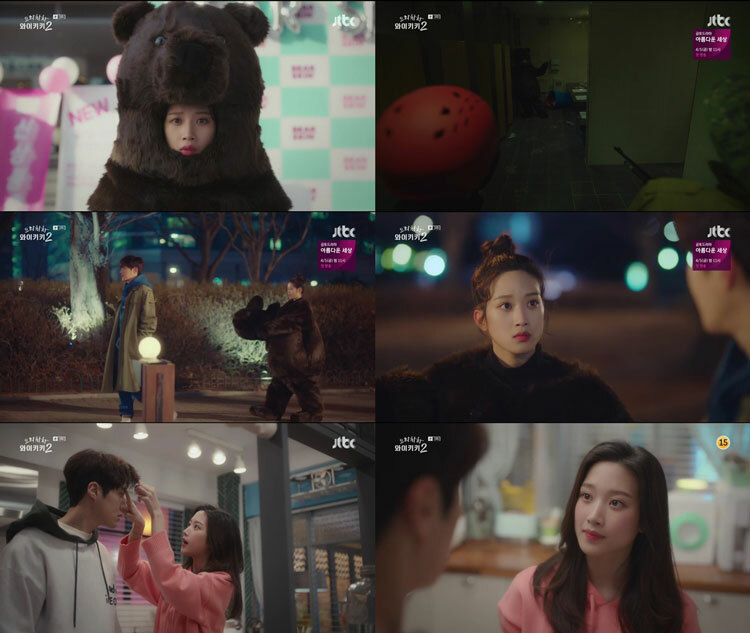 This work was broadcast continuously on JTBC4 on April 1 and 2, and also on YouTube channel, JTBC4, Entertainment, JTBC4, Studio Lulu Lala and StoryLab. MBC drama '특별근로감독관 Cho Jang Pung' Kim Dong Wook, Return D-5! - Kim Dong Wook, 'Cho Jang Pung = Cho Jin-gap' Labor Supervisor! Looking forward to working! Kim Dong Wook's return came five days later. Kim Dong Wook, who has become a lonely actor in the movie "신과함께" last year and attracted viewers with outstanding acting skills in the OCN drama '손 the guest', will return to the MBC drama '특별근로감독관 Cho Jang Pung' . Cho Jin-gap (nicknamed Cho Jang Pung), an MBC drama '특별근로관리감독관 Cho Jang Pung', a 6-year-old public servant with a belief in the welfare department, A satirical comedy drama depicting the story of going to the vice owner's punishment after being appointed as a supervisor. Kim Dong Wook served as Cho Jin-gap, Labor Inspector. Cho Jin-gap is a person who became an official of the Republic of Korea due to an unexpected event in a physical education teacher who was a Judo player called Cho Jang Pung. Kim Dong Wook is going to convey the exciting catharsis as well as the real sympathy with Cho Jin-gap role. The most anticipated one in '특별근로관리감독관 Cho Jang Pung' is 'Kim Dong Wook'. Kim Dong Wook got Yoon Hwa Pyung from Yoon Hwa Pyung in the previous OCN drama '손 the guest' and he got the praise of "Yoon Hwa Pyung is Kim Dong Wook" as it perfectly melted into the character. In particular, Kim Dong Wook's acting of Yoon Hwa Pyung and Park Il Do in the latter half of the drama proves the performances of the masterpieces by completing the drama of the audience. Kim Dong Wook is proud of his excellent acting ability and excellent character interpretation ability that expresses the character's feelings line like this. 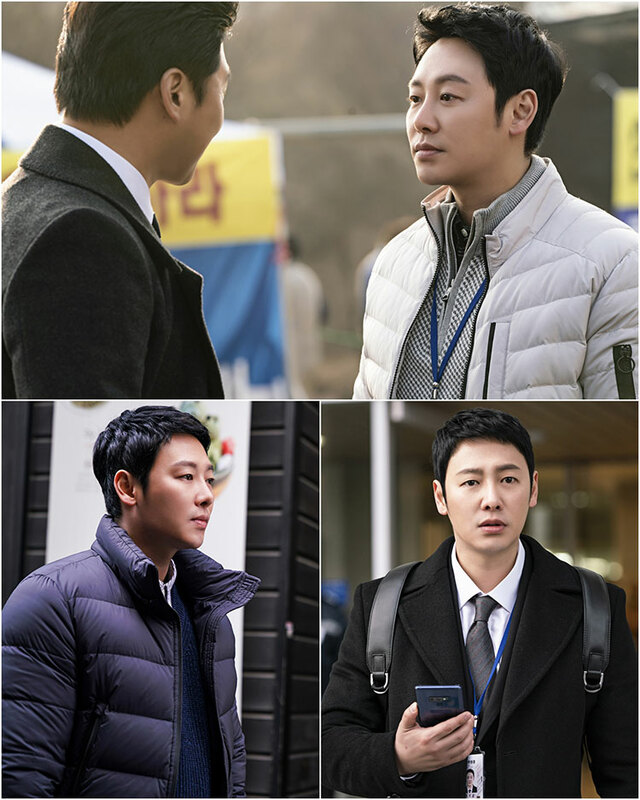 Therefore, Cho Jang Pung, who is a special labor inspector, has more reason to expect Cho Jin-gap. On the other hand, MBC drama '특별근로관리감독관 Cho Jang Pung', Kim Dong Wook's starring role, will be broadcasted at 10 pm on April 8. Moon Ju Yeon, a model and actress, was selected as a muse of the hypnotic skin care brand 'Pyunkang Yul'. Pyunkang Oriental Dermatology Research Institute explained that "Moon Ju Yeon's healthy skin and clean image are consistent with the brand image of Pyunkang Yul." Moon Ju Yeon is going to show her clean and clear charm through various marketing activities of Pyunkang Yul such as 'Love your skin' campaign from April as a brand model. Moon Ju Yeon, who was selected as the exclusive model, became a hot topic on tvN '로맨스는 별책부록' in the separate supplement and tvN '비밀의 정원'. Lee Jin Ah, who starred in the webmaster '프레시맨' recently, has been featured in various channels such as YouTube and NAVER TV, and is widely regarded as the most remarkable model and actress in 2019. In addition, Moon Ju Yeon starred in numerous music videos such as 'Only You' by Impact, 'Curious' by CLAZZIQUAI PROJECT, '1 of 1' by SHINee, and her unique presence and awareness . Meanwhile, ESteem Entertainment, which is affiliated with Moon Ju Yeon, is a management company with actors Chae Jung Ahn, Jang Yoon Ju, Han Hye-jin, Lee Hyun Yi and Kim Jin Kyung. The transformation of DONGHAE! Intense black & red concept teaser image revealed! 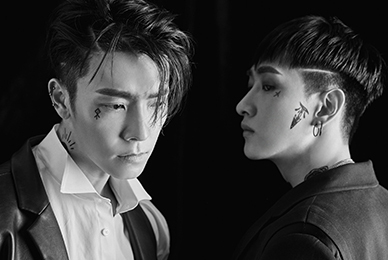 SUPER JUNIOR-D&E New mini album 'DANGER', including 7 songs including the Japanese version! 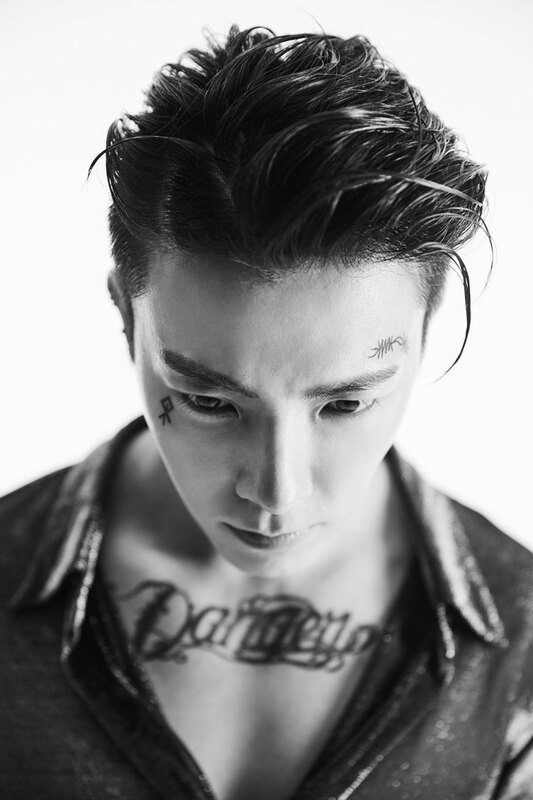 SUPER JUNIOR-D&E released their third mini-album 'DANGER' personal teaser image. 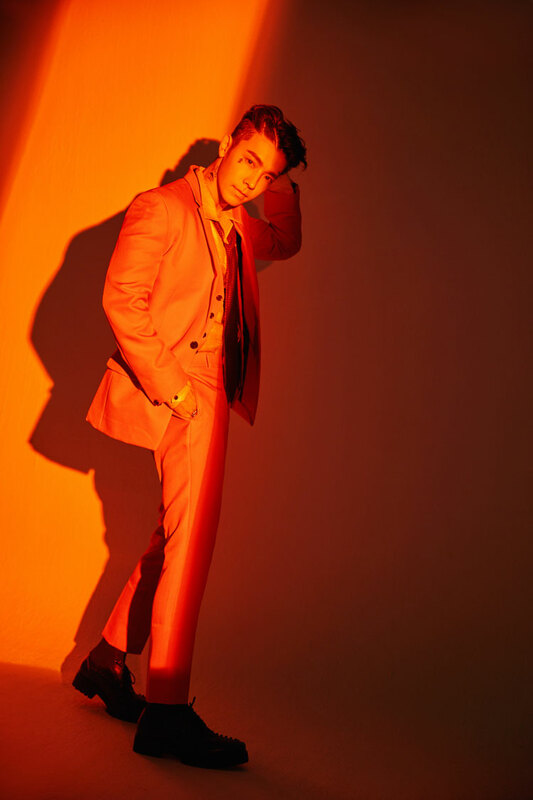 At 10 am on the morning of October 3, DONGHAE's personal teaser image was opened on the official SNS channel including SUPER JUNIOR's official homepage, Instagram, Facebook, Twitter and so on. 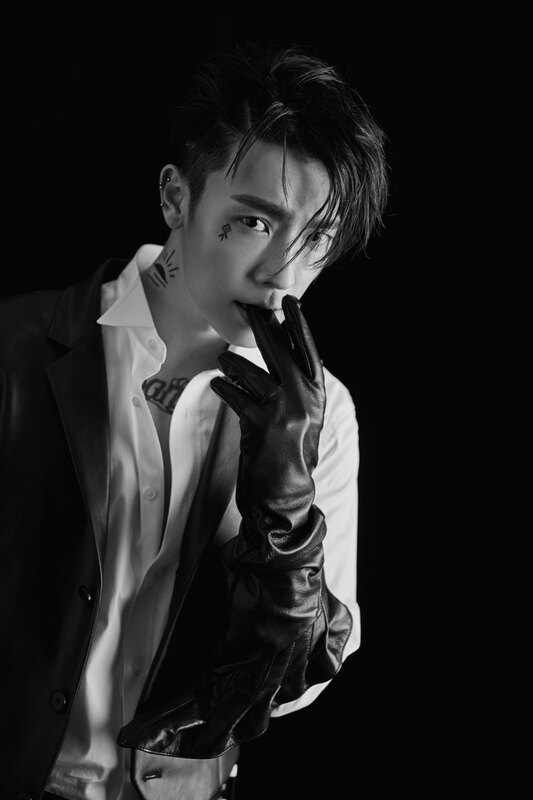 The teaser image, which was developed with an intense BLACK & RED concept, seems to be enough to raise the fans' expectation for the new album by blending the BLACK concept, which is a dark black and white picture, and the RED concept, which creates a dreamy atmosphere through a red light. 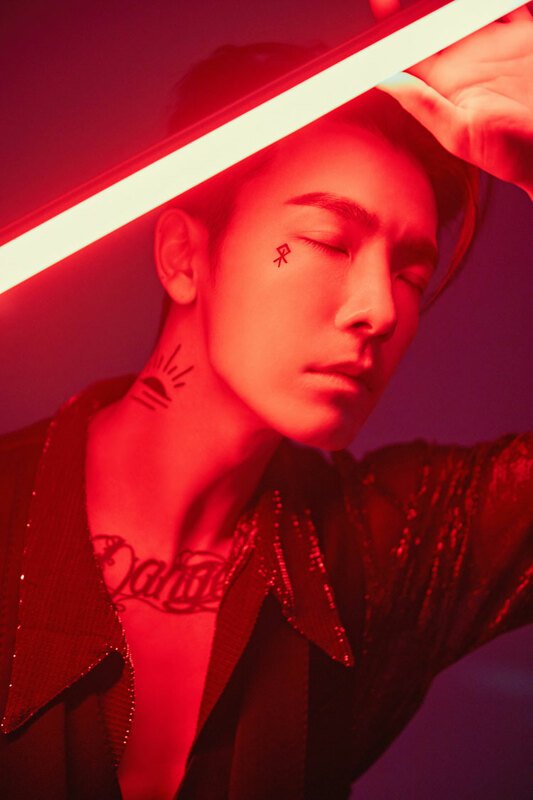 In addition, the third mini album 'DANGER' contains 7 tracks including 'Sunrise' and 'If You', which is the title of the original regular album 'STYLE' released in August last year by SUPER JUNIOR-D & As a song and song, I received a lot of love. On the other hand, SUPER JUNIOR-D&E will host a solo concert 'THE D&E' on April 13-14. EXO CHEN, 'Music Bank' debut solo debut stage first broadcast! Following the music chart, the music chart is also ranked # 1! Solo power! The solo debut stage of EXO CHEN (SM) will be released on the 5th. CHEN will show up on April 5 on KBS2TV 'Music Bank', on MBC 'Show Music Core' on June 6, and on 'Inkigayo' on 7th, It is expected to catch the attention of fans. 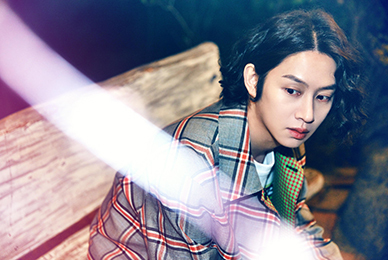 Especially, 'Beautiful goodbye' is an impressive ballad song with a delicate piano performance. It contains a remembrance of the first meeting of a man who prepared a farewell with a lover. 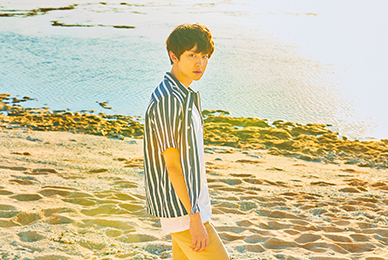 Lyrics include well-made music and CHEN's sweet vocals It is enough to meet the stage. 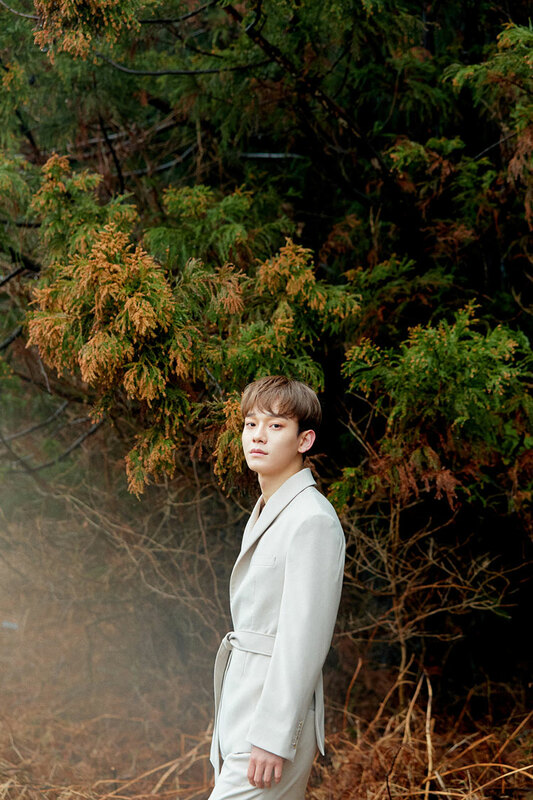 In addition, CHEN's first mini-album titled 'Beautiful goodbye' has been hotly loved since it was released on the 1st of January, and it ranks on top of domestic and international music charts. 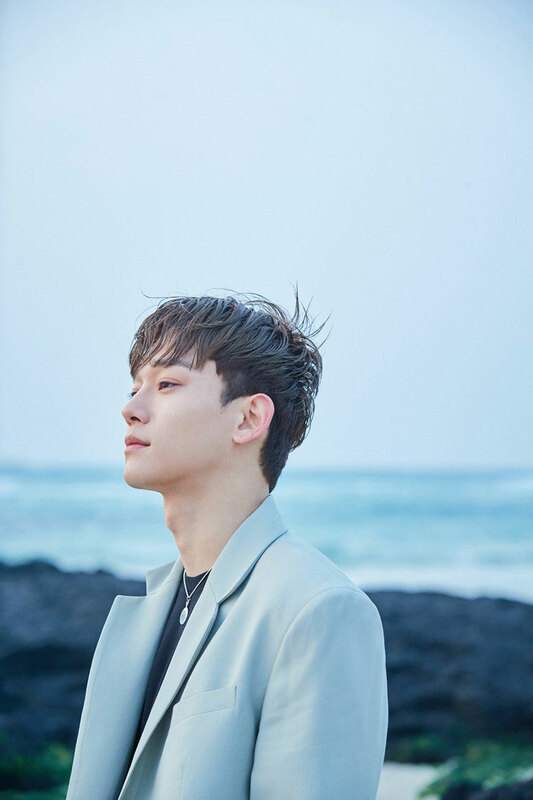 This album is one of the most popular albums on the major charts including Hanteo Chart, Synnara Record In addition to winning the top spot, the iTunes total album charts added the Czechoslovakia to the top 33 of the world's top 33 countries, confirming the power of solo singer CHEN. On the other hand, CHEN will appear on MBC FM4U '정오의 희망곡 김신영입니다' broadcast on April 3 at 12:00 pm. 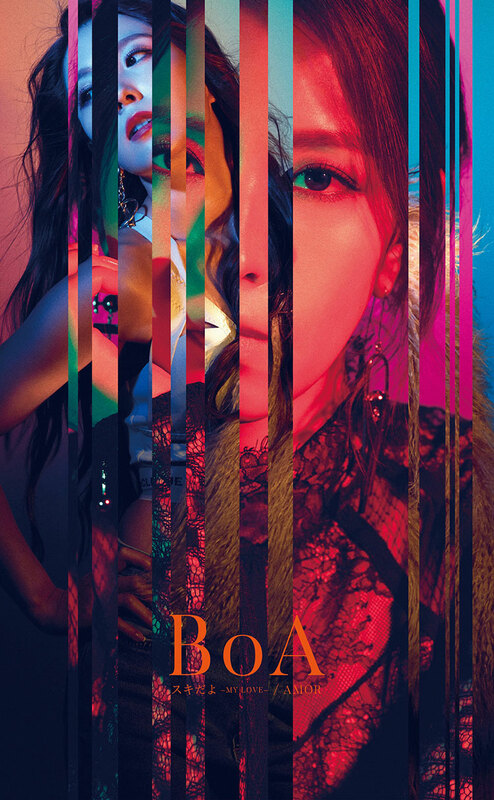 'Asia's No.1 musician' BoA, Japanese single 'Sukidoyo - MY LOVE- / AMOR' Released on April 3 local! 4 days a day 12 o'clock Domestic sound source release! 'Asia's No.1 musician' BoA (SM) Japan's new single 'Sukiyoudo-MY LOVE- / AMOR' will be released on April 3rd. In this single, two songs are included in BoA's composition, 'Sukidoyo-MY LOVE-' and 'AMOR'. In particular, 'スキだよ -MY LOVE-' is an impressive ballad with BoA's outstanding vocals. The rhythm reminiscent of waltzes, clear piano sounds, and smooth musical instrument performances are in harmony, and the lyrics written by Japanese famous musician GACKT I hope that the overflowing mind will reach the other party and add the charm of the song with the content of the wish to the star. 'AMOR' is a Latin pop genre with a sweet acoustic guitar sound. It is a song that dramatically expresses the heart of a woman who desperately wants to love and BoA's mature voice, TV Asahi drama 'ブスだってI LOVE YOU' was also inserted into the theme song and received a lot of love. In addition, this single is scheduled to be released on various music sites in Korea such as Melon, FLO, Genie at 12:00 on the 4th, and music fans are expected to respond well. The comic acting of SIWON (SUPER JUNIOR SIWON, SM) was upgraded. SIWON is acting as a veteran cheater 'Yang Jung Kook' in KBS2 drama '국민 여러분'. On the last two days, the story of Yang Jung Kook, an impostor who wanted to enter the industry, was being urgently tapped by both police and his wife Kim Mi-young (Lee Yoo-young) and banker Park Hu-ja (Kim Min-jung) I caught the eye of. In addition, Yang Jung Kook flees from the crowd of Park Hu-ja and steals the serial killer. He gets the "brave citizen" to the "honorary police", and then rescues his grandfather on the road. , Park Hu-ja decided to make him a member of the National Assembly, and his curiosity about the next development was amplified. In particular, SIWON, who plays the role of Yang Jung Kook, upgrades the comic performances that showed already the true value through the drama '그녀는 예뻤다' and '변혁의 사랑', as well as complicated inner feelings I delicately expressed my attention. On the other hand, '국민 여러분' got good response with rapid development and resurgent settings, and the ratings increased more than last broadcast, average 7.0, 8.4%, highest audience rating 9.2% (Nielsen Korea, nationwide). '와이키키2' Mun Ka Young and Kim Sun Ho confess their first love! - '으라차차 와이키키2' Mun Ka Young, comic acting and romance to acting! Lovely charm explosion! - Mun Ka Young and Kim Sun Ho emit chemistries! '으라차차 와이키키2' Mun Ka Young is making the hearts of viewers jump. Mun Ka Young, who plays Han Soo Yeon, the first love of all, plays a comedy and romance in the JTBC drama '으라차차 와이키키2'. Soo Yeon went to a live cafe where Woo Sik (Kim Sun Ho) worked with YURI (Kim Ye Won) and met high school senior Seo Jun. And I realized that Woo Sik misunderstood his first love as Seo Jun and said, "My first love you! Cha Woo Sik You are my first love! "It confused Woo Sik's spirit. In the past, Soo Yeon decided to confess his courage to my Woo Sik and went to Woo Sik's band performance. However, Woo Sik witnessed Seo Jun approaching Soo Yeon to kiss Soo Yeon. Soo Yeon and Woo Sik are enjoying the strange atmosphere of living in '와이키키' and are receiving the support of viewers that they want to have two people soon. Mun Ka Young and Kim Sun Ho's chemistry are causing the stir of the audience. Mun Ka Young, who has a strong sense of beauty and cute comic acting, is also attracting attention as a romance actress. Lovely charm that stands out exceptionally captures the hearts of female viewers as well as male viewers. Mun Ka Young is expected to play an important role in comedy and romance. On the other hand, JTBC's "으라차차 와이키키2" starring Mun Ka Young, Kim Sun Ho, Lee Yi Kyung, Shin Hyun Soo, Ahn So Hee and Kim Ye Won will be broadcast every Monday and Tuesday at 9:30 pm. - '와이키키2' Mun Ka Young, a teddy bear dashing and freaking out! 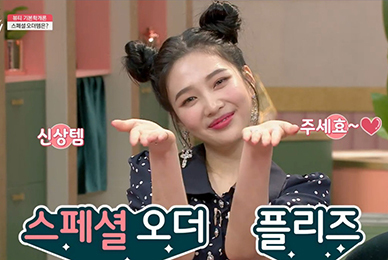 '으라차차 와이키키2' Mun Ka Young laughed at the audience. Mun Ka Young took on the role of Han Soo Yeon in the JTBC drama '으라차차 와이키키2'. The sudden loss of his father caused him to lose everything in a moment and start to stand alone. Soo Yeon was part of a promotional part-time job of dispatching cosmetic samples using bear dolls. Soo Yeon decided to borrow an alcoholic sensation in his first experience of his life, and laughed as he struggled to show off all kinds of dazzling dance moves. However, when one of the birds in the zoo escapes, a citizen who sees this news sees Soo Yeon in the bathroom and mistakes it as a real bear. After receiving the report, the firefighters and the zoo chickens heard the voices of Soo Yeon and misunderstood that the bear was very angry, eventually causing the funny and sad situation of those who fired Soo Yeon with an anesthetic gun. With this incident, Soo Yeon climbed to the top of the portal site's real-time search query, and Woo Sik (Kim Sun Ho), who saw Soo Yeon from the news to the hospital, urgently headed to the emergency room. Unlike Woo Sik, who was full of worries, Soo Yeon lied on the bed wearing the teddy bear 's body and continued to laugh. Between Soo Yeon and Woo Sik, a pink air stream made people flirting. Mun Ka Young, who was wearing a huge teddy bear that could barely reach into his head, laughed itself. The dancing and waddling walk seemed to be cute, but an alcoholic shot and an anesthetic shot by a drunken face caused an uproar. In addition, Mun Ka Young has empathized with the impact of the youth who encountered the world alone. I hesitated and hesitated to do things for the first time but decided to challenge again after trying to give up or give up, and it emitted the sound of youthful enthusiasm and energetic voice of support. Moon Tea Ho, Lee Yi Kyung, Shin Hyun Soo, Ahn So Hee and Kim Ye Won starring Moon Ka Young in the JTBC drama '으라차차 와이키키2' will be broadcast four times tonight at 9:30 pm .